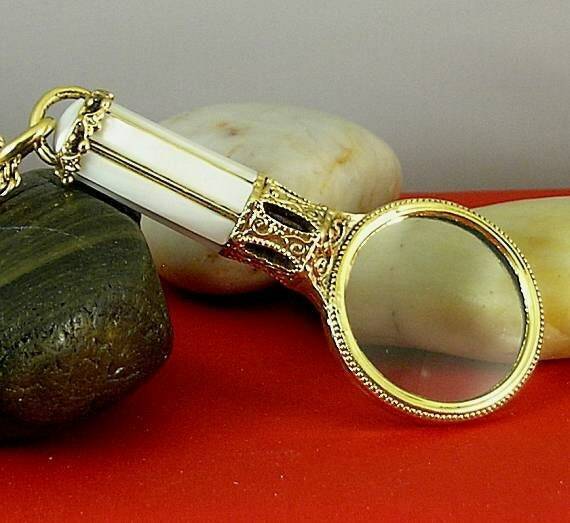 This elegant magnifier has a six-sided handle embellished with six 1" long mother of pearl rectangles and a 10mm mop cabochon on the end. 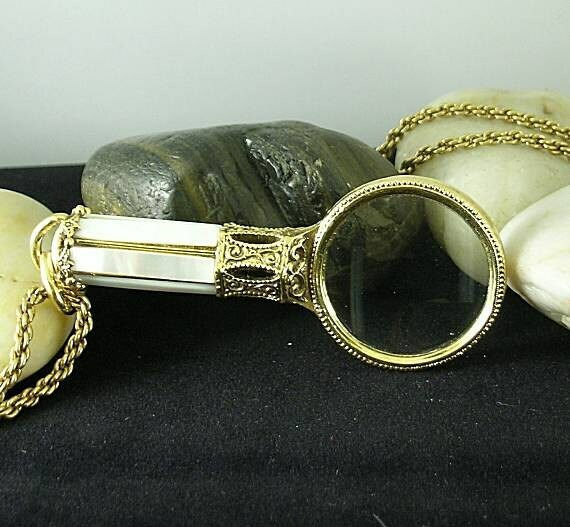 There are heavy 24k triple plated gold accents forming the bail, on the handle and forming the frame for the magnifying glass. 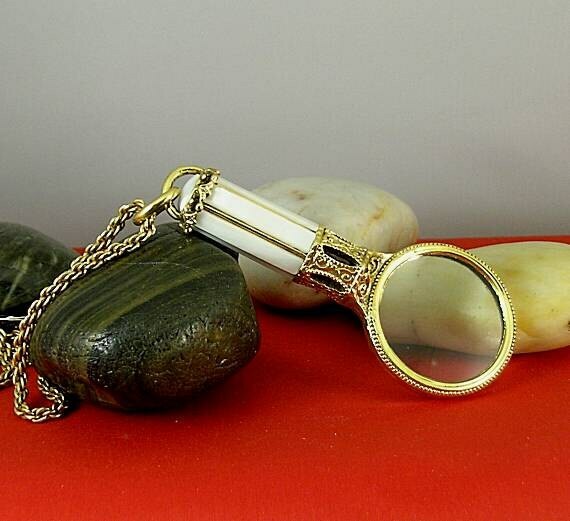 The overall length is 3 3/4" and the 2X magnifying glass measures 1 3/4" in diameter. 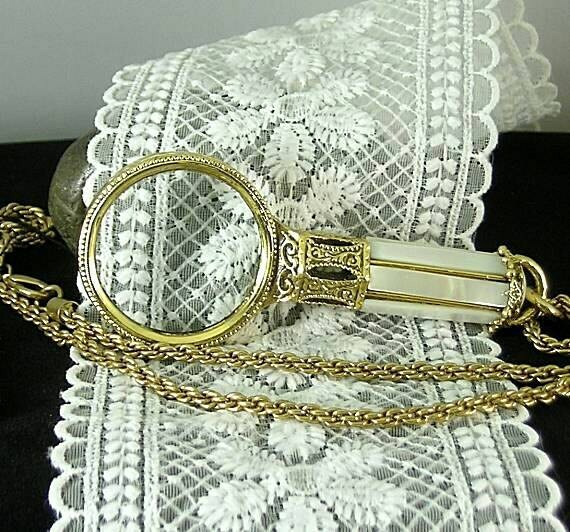 It hangs from a 36" heavy chain for attaching to your belt/girdle or hanging from your neck. This is one of the pieces from the discontinued Renaissance stock of the Antiquities Couture Collection by 1928. 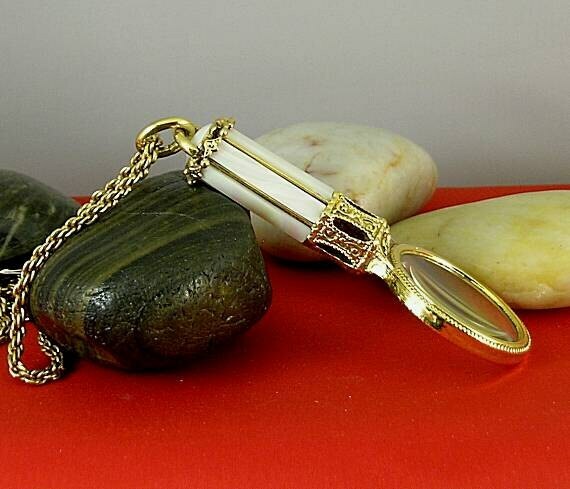 All the pieces in the Antiquities Collection are reproductions of period pieces or inspired by the jewelry making techniques of centuries past. They are made with museum quality 24k gold electroplated settings that are embellished with semi-precious stones and/or enameling. Made in USA!